The popup is easily dismissed, and it won’t prevent you from using your iOS device normally. When you see it every time you unlock, though, it gets pretty annoying. Here’s what’s going on. 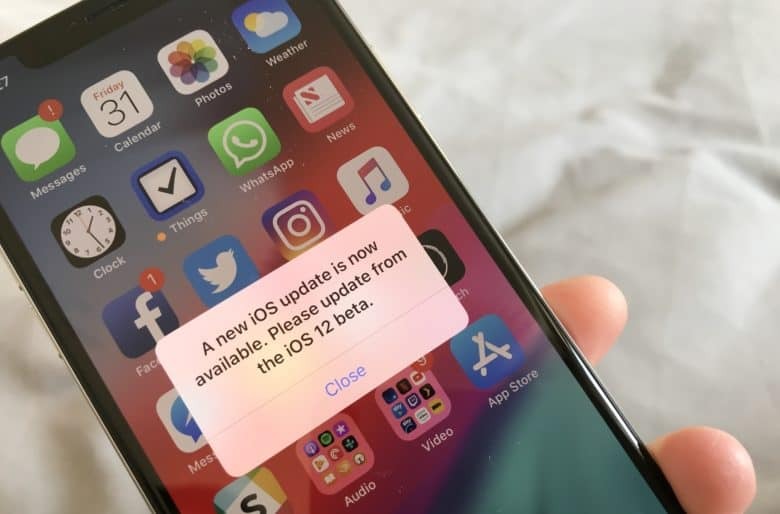 What causes false iOS 12 update notifications? Every beta Apple rolls out has an expiration date. You need to update your device before that date, or it will eventually stop working properly. There seems to be a problem with that date in the latest iOS 12 beta. Your device is convinced, then, that the software you’re running will soon expire. But if you attempt to update, you’ll find a new release isn’t available yet. The only fix is an impractical one, and we don’t recommend you use it. You can change the date on your iOS device — move it back a week or so — to prevent the update popup from constantly appearing. But this can cause other problems, particularly inside apps that rely on the date to be accurate. It’s best that you simply suffer the popups until Apple rolls out a new iOS 12 beta. So many people are experiencing this problem that memes poking fun at it are already popping up on social media. Here’s to hoping Apple fixes this quickly because it is frustrating. Some might say that it’s our fault for installing beta software ahead of its official release, but let’s face it, most of the software we use today is in beta — it just doesn’t have the beta tag. Look at iOS 11; even after it went public, it had more bugs than the earliest preview releases of iOS 12, and it took Apple months to address them all.